PC Connects is making its US debut in 2019 and will be setting up shop in Seattle later this year as part of Pocket Gamer Connects. 1,000 delegates will gather for two days on May 13th and 14th to hear from 150 of the world’s leading authorities from the mobile and PC gaming industries. Filling 10 wall-to-wall conference tracks across both days, they will share their expert insight on everything from monetisation to the latest development trends. Well, we say ‘they’ but could we really mean ‘you’? Maybe so if you’re an expert in your field willing to share your insights with our audience of industry professionals. 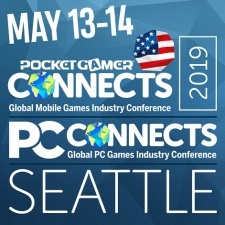 We’re looking for world-class speakers for Pocket Gamer Connects and PC Connects Seattle this May. If that sounds like you, get in touch now using this form. We’re pleased to share the news that some great companies have already agreed to be part of our Seattle show, including GameAnalytics, Minimob, Joypac, Playfab, Appsflyer, Vungle, Mintegral, Seattle Indies and more. To find out more about becoming a speaker, get in touch today! Since our first show in 2014, more than 15,000 industry professionals have attended the Connects international conference series around the world, including North America, Canada, the UK, Finland and India. We’ve been the biggest dedicated mobile games industry conference series in Europe since 2016 and on average, delegates from more than 45 countries attend each event. Previous delegates voted Connects the 'best value conference', while 97 per cent would recommend it to a colleague and 96 per cent tell us they’ll come back for more. If you'd rather sit in the audience than stand in front of it, Super Early Bird ticket rates are now open for Pocket Gamer and PC Connects Seattle 2019. We’d love to see you there!